LMRC’s NORTH-SOUTH CORRIDOR IS A DELIGHT FOR FOODIES. The newly inaugurated North-South Corridor has become a blessing in disguise for foodies as they would be able to reach their favorite joints through this metro line. The 23-km long stretch covers a distance from CCS Airport to Munshipuliya and has all the prominent restaurants/ hotels/ eateries covered within the corridor. The KD Singh stadium station has Dastarkhwan open-air restaurant and other restaurants that services authentic ‘Lucknawi Cuisine’. Sachiwalaya Station has Tundey Kababi, Nawabees and Wahid Biryani which is at walking distance from the metro. These restaurants are popular beyond the city and tourists from across the country want to indulge with the lip-smacking dishes prepared by them. Tundey Kababi, for instance, is a local delicacy with an international reputation and everyone wants to dig into it if they have an opportunity. Clark Avadh hotel located at KD Singh metro station has it's in house restaurants and cafes that attract food lovers here. Babian restaurants situated near Bhootnath metro station offers food items that are sumptuous, yet moderately priced. Bikanerwala restaurant located in the vicinity is a vegetarian’s delight and provides numerous options for vegetarian food lovers who feel marginalised in a city famous for non-vegetarian food. The corridor has 21 stations and the route covers important destinations like airport, Charbagh and Badshah Nagar railway stations, Vidhan Sabha, Hazratganj, Lucknow University, and Indiranagar. 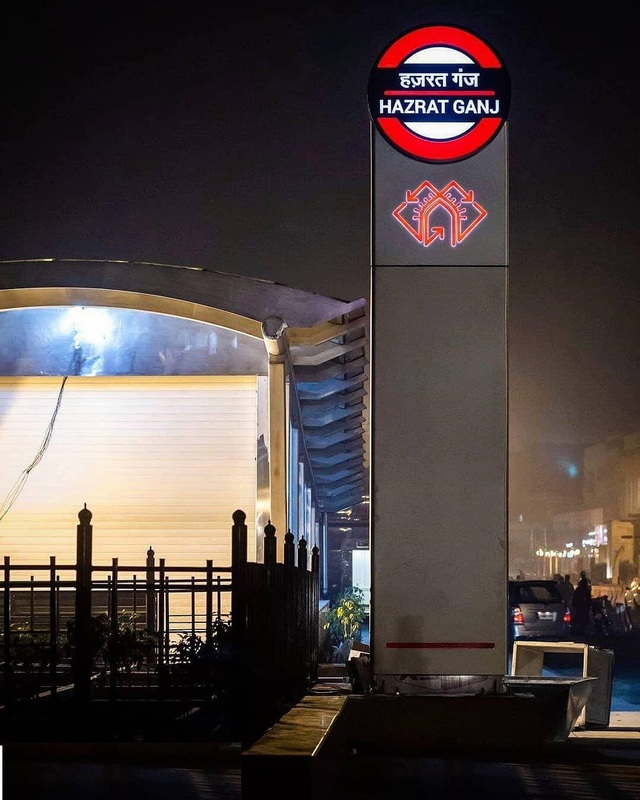 The corridor also includes 3.5 km of the underground section from Hussainganj to Hazratganj.